MCF's Investment Committee, made up of volunteer professionals in the investment industry, guides the investment strategies of the Foundation. Ann P. Barber is a Managing Director at Hall Capital Partners LLC, and Head of the Equity Strategies Group which researches public equity and equity hedge investments. She is also a member of the firm’s Investment Review Committee and the portfolio management teams for several family and endowment clients. Prior to joining the firm as Vice President in 2006, Ms. Barber spent several years at Lazard Asset Management in New York. Previously, she was a Senior Research Analyst covering the health care sector at Montgomery Asset Management. Ms. Barber began her financial career at Prudential Securities in investment banking. She graduated with honors from the University of Wisconsin at Madison with a B.A. in Economics, International Relations and Spanish. She also earned an M.A. from the School of Advanced International Studies (SAIS) of The Johns Hopkins University, and an M.B.A. from the Wharton School of the University of Pennsylvania. 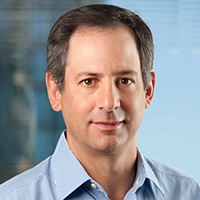 Mitchell Cohen currently manages a private investment company, Ross Investment Associates LLC. Prior to this, he spent nineteen years as a Managing Director at Hellman & Friedman LLC, a private equity firm based in San Francisco. During his tenure, he was a member of the firm’s investment team where he sourced and oversaw a portfolio of investments. He was also responsible for the firm’s client relations and new business acquisition, acting as a principal interface with investors, including many of the world’s largest pension funds, endowments, and private offices. Prior to joining Hellman & Friedman, Mr. Cohen worked with Shearson Lehman Hutton in New York from 1986-1989. Mr. Cohen attended McIntire School of Commerce at the University of Virginia. 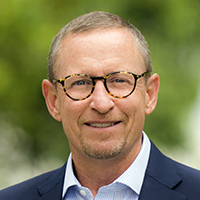 He currently sits on the board of trustees and the investment committees of several educational and religious institutions in the Bay Area. Thomas Reinhart is a retired Partner of TPG Capital, where he spent 11 years as Chief Operating Officer and was a member of the firm’s Management Committee. He was responsible for the firm’s operations, including strategy, personnel, internal processes, and communications. Prior to joining TPG, Mr. Reinhart was a Managing Director in the Investment Banking Division of Salomon Smith Barney. He was also Group Head of the firm’s Restructuring Group, which provided advice to financially distressed companies. Prior to 1990, Mr. Reinhart worked in the Investment Banking department of Drexel Burnham Lambert. Mr. Reinhart received his M.B.A. from the Tuck School of Business at Dartmouth and an A.B. from Dartmouth College. He has volunteered over the years for a number of community and school organizations, as well as coached youth sports. 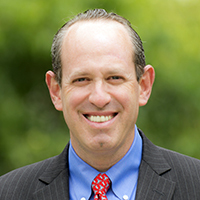 Brian S. Schneider is a former Managing Director at Medley Partners, a family office located in San Francisco. In this role he was responsible for constructing and implementing strategic investment plans for the real estate and natural resource asset classes, including establishing investment policy, sourcing and underwriting potential investments, and overseeing performance. Previously he was Managing Director of real estate and natural resources for the University of Pennsylvania endowment. Prior to that he was the Senior Portfolio Manager in charge of real estate investments for the DuPont Master Trust. Mr. Schneider has a B. A. in Economics from Connecticut College and an MBA in Real Estate/Finance from The University of Texas at Austin. Lilian Shackelford Murray is Manager of Dovetail Investments, an investment management firm focused on country specific ETF investments in emerging markets in 2011. She is a Board Director of Arcadia Biosciences, serving on the Audit and Compensation committees. Retired from Saints Capital and formerly Managing Director in investment banking at Prudential Volpe Technology Group. At Volpe Brown Whelan, she was a Managing Director and a member of the firm's Underwriting Commitment Committee. 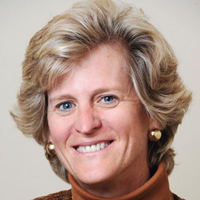 She currently serves as chair of the Investment Committee and on the Executive Committee of the Board of Trustees of Woodberry Forest School. In addition, she serves on the investment committees for the Guide Dogs for the Blind and the YWCA of San Francisco. She is chair of the Governance Committee and on the Investment Committee of the Hualalai Ohana Foundation. Ms. Murray received her Master in Business Administration degree from Harvard Business School. She has a B.S. Commerce degree from the University of Virginia. Patricia Shepard is principal and founder of Shepard Carrier Partners LLC, a firm specializing in assisting global families, family trusts, and family-owned companies with financial governance and financial affairs. With over twenty years’ experience in family office leadership and investments, Ms. Shepard has worked throughout the U.S., South America and Europe. She has held a variety of positions during her career, including CIO of a $1bn AUM family investment company, Managing Director of a venture fund, Manager of a family-owned winery and vineyard, President of foundation holding companies, and Executive Director/CEO of a family office. 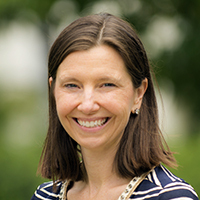 Ms. Shepard holds a Bachelor’s Degree from the University of Wisconsin, a TASA diploma from the University of Bonn, and a Master’s Degree from M.I.T.. She is a Board Member of the UCSF Foundation Investment Company. Patricia is actively involved in interventional education for children facing language-based learning differences and sensory processing disorders. She has strong interests in nutrition, research and development of global complementary medicines and education access for the underprivileged. 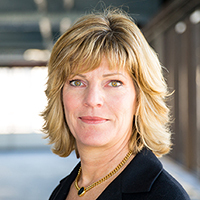 Denise Strack has been the Chief Investment Officer for the Gordon & Betty Moore Foundation (GBMF) since 2008. In this role, Denise manages the Foundation’s $6.5 billion diversified portfolio. She is responsible for all facets of endowment management including asset allocation, risk management, manager selection, liquidity planning and team management. Before assuming this position at GBMF, Denise was Director of Private Equity and Real Assets. Prior to GBMF, Denise served as Director of Private Equity at Stanford Management Company and as an Engagement Manager at McKinsey & Company in their private equity and financial services practice. 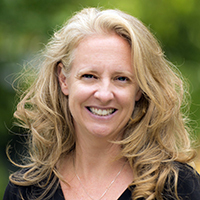 Denise has an M.B.A. and a Bachelors of Science in Industrial Engineering, both from Stanford University. She was a member of the United States National Gymnastics Team, and was recently named a 2016 U.S. Money Master by Institutional Investor. Quoc K. Tran, MBA, Chief Investment Officer and Managing Partner, joined Lateef Investment Management in 2005 and became an owner in 2007. In 2002, Quoc joined Wallace R. Weitz & Co. and held various positions in portfolio management and research. Prior to that, he spent five years at Goldman Sachs and Co. as an institutional sales professional, and left the company as Vice President and Director in the Equities Division. Mr. Tran is a member of the Board of Trustees of Bates College and serves on various committees, including the Bates College Investment Committee where he is Chair of Equities. Mr. Tran received a B.A. degree, with high honors, in Rhetoric from Bates College and his MBA in Finance and Competitive Strategy at The University of Chicago, where he was also a Business Fellow of Bates College and serves on various committees, including the Bates College Investment Committee where he is Chair of Equities. Mr. Tran received a B.A. 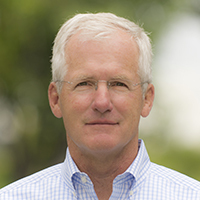 degree, with high honors, in Rhetoric from Bates College and his MBA in Finance and Competitive Strategy at The University of Chicago, where he was also a Business Fellow. Michael Miller, CFA, is a founder and managing director of Colonial Consulting, LLC. Mr. Miller provides the firm's clients with advice on asset allocation, manager selection, and performance evaluation attribution. He has 28 years experience in the consulting business, all with Colonial Consulting. Mr. Miller holds a BS degree in Computer Science from Columbia University and an MA degree in Statistics from Columbia University. He was also awarded the Chartered Financial Analyst or CFA designation. Colonial Consulting is a New York-based firm which focuses on providing consulting services to nonprofit institutions. The firm was founded in 1980 and is owned by its employees. At present, Colonial has 130 client relationships representing just over $33 billion of total capital.